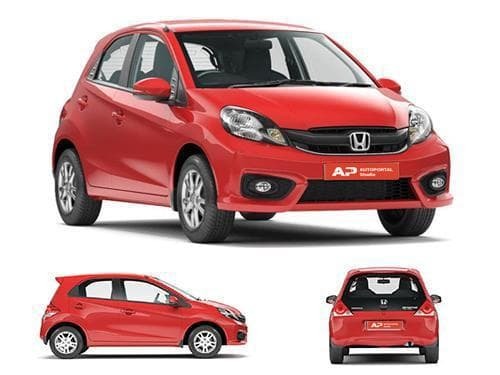 Honda Brio is a cute little hatchback that has innumerable comfort features including a leather covered multi functional steering wheel. This three spoke power steering wheel can be adjusted for height. It has a total of 6 switches mounted on the steering wheel. These switches are mainly for taking a call or disconnecting the call and controlling the music tracks on its excellent music system. The buttons allow the driver to change the track of the music playing on the music system, fast forward the sound track and increase or decrease the volume of the music without taking his or her hands away from the steering wheel. The main competitors of Honda Brio in the market are Hyundai i10, Hyundai Elite i20, Hyundai Grand i10, Nissan Micra and Maruti Suzuki Swift. 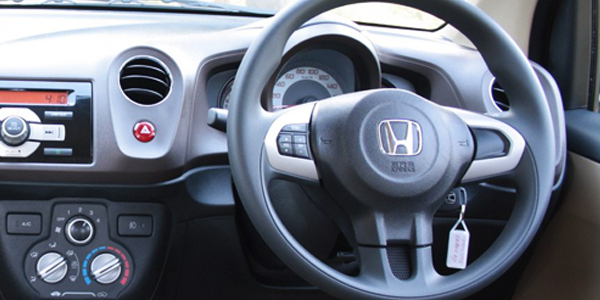 All these vehicles have multi functional steering wheels in their upper trims along with height adjustment feature.